More information about collaborative projects involving A Walk in Their Shoes coming soon!! Kirk Smalley will be presenting at Wausau East Auditorium on Tuesday, April 9, 2013 from 7:00-8:30 PM. Admission is free! Featured in the award winning documentary, Bully, on The Today Show, and most recently on CNN: The Bully Effect with Anderson Cooper, Kirk Smalley will be coming to Central Wisconsin to share his story and offer education and tools that will prevent his personal tragedy, the suicide of his eleven-year-old son, Ty, from happening to another child and family. In response to his unimaginable tragedy he and his wife founded Stand for the Silent, which exits as a platform to allow for change to happen across the nation. 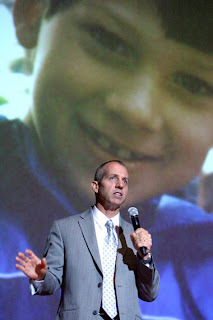 Kirk's mission is to continue to change kids' lives and bring awareness to bullying and the real devastation it causes. Kirk has traveled to hundreds of schools and spoken to thousands of students. In May of 2010, The Smalley's were invited to the White House where they met with President Obama and the First Lady in the nations first ever White House conference on bullying. Please don't miss this chance to be a part of something that has the power to educate our youth and change our schools. "He was really inspirational. He inspires us to come back to school and to fight what he is fighting for." "His presentation had an immediate and lasting impact." "You could have heard a pin drop as he talked... the presentation is that poignant and moving." John Halligan will be presenting at Wausau East Auditorium on Monday, November 26th from 7:00-8:30 PM. Admission is free! and the deep impact of bullying on his family. Featured on The Oprah Winfrey Show, Primetime with Diane Sawyer, and The Today Show among many others, John Halligan is a nationally known speaker coming to Central Wisconsin to present about the need for the education and prevention of bullying, cyber-bullying, and teen suicide. 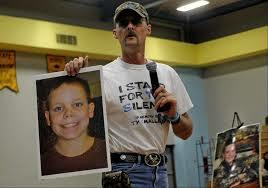 Mr. Halligan lost his son, Ryan, to suicide on October 7, 2003 at the age of 13. At the time of his death, Ryan was a student at a middle school in Vermont. It was revealed in great detail after Ryan’s death that he was ridiculed and humiliated by peers at school and on-line. In memory of his son and in just a few months after Ryan’s death, Mr. Halligan spearheaded the Vermont Bullying Prevention law in 2004. He also led the passing of a law in 2006 pertaining to suicide prevention education in public schools. Mr. Halligan has been outspoken about the need for more education and prevention of bullying, cyber-bullying and teen suicide throughout the United States, Canada and Latin America. On November 26, 2012, John Halligan will be at Wausau East High School from 7 to 8:30pm to share his courageous story of Ryan, to give advice, and to raise awareness about cyber-bullying. "This was the most powerful presentation I have listened to in my 26 years of teaching." "Fabulous and heart wrenching. This needs to get to ALL schools and communities." John has taken an ink blot and turned it into a butterfly..."
Absolutely outstanding! He captivated the audience and made a lasting impression on everyone present."